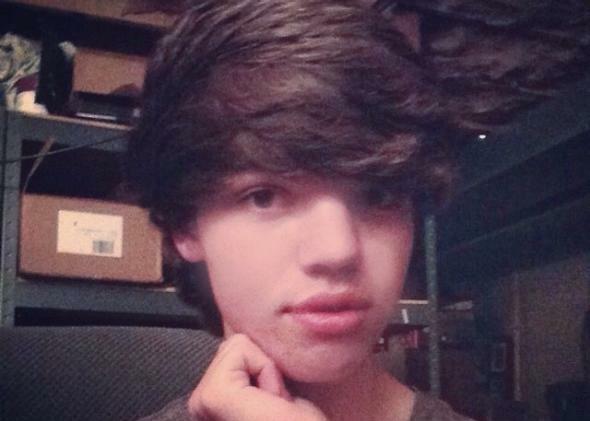 Leelah Alcorn suicide: Prosecuting her parents won’t help other trans kids. The death of Leelah Alcorn has hit the LGBTQ community hard, coming as it did at the end of a year when transgender visibility and acceptance appeared to be gaining steam. Whatever progress has been made, it did not come fast enough to reach the 17-year-old, who is believed to have taken her own life on Dec. 28, 2014. The plight of trans youth who are dependent on families of origin that misunderstand, reject, and repress them is an ongoing source of frustration and helplessness among transgender advocates and their allies. Alcorn’s heartbreaking posthumous call for change has been circulating widely, accompanied by statements of grief, solidarity, and an insistence that we must take action to prevent such tragedies in the future. According to Alcorn’s own words, which have been corroborated by people who knew her, her parents seem to have followed a playbook that is all too common among conservative Christians with queer children. Carla and Doug Alcorn reportedly sought therapy from Christian practitioners who shamed Leelah and negated her identity as a young woman. They isolated her from community members who were supportive and punished her for coming out by removing her from high school. On social media, anger at Leelah’s parents has been one of the rawest responses from a community that is tired of hearing about the suffering of trans and queer kids only after it’s too late to reach them. Some people, including Dan Savage, have called for the Alcorns to be prosecuted for child abuse, because their actions directly led to Leelah’s suicide. The belief that parental rejection causes—or at least greatly exacerbates—the risk of suicide in young LGBT people is supported by the available social science research. In the 2011 National Transgender Discrimination Survey, for instance, familial rejection drastically increased the incidence of suicide attempts among trans survey respondents. To such dry statistics can be added the lived experience of queer adults, many of whom have felt the pain of parental rejection and estrangement firsthand. Adolescence is a rocky time for many of us, but for people whose sexual or gender identity differs profoundly from those around them, it is often even more fraught. In cases where parents’ ideas about the LGBTQ community have been warped by religious and political leaders who portray queer folks as the enemy in a vast culture war, parental failures can be terrible, and in cases like Leelah’s, irreversible. There should be no doubt that reaching these families is among the most urgent projects for queer activists, allies, and organizations. The question of how best to reach them is one that must not be neglected in the rush to do something—anything—to put an end to the pain and isolation many trans youth face. We know there are other Carla and Doug Alcorns out there, just as there are other Leelahs. These conservative parents of transgender kids may be learning of this death through the distorted kaleidoscope of right-wing media—or they may know nothing about it, because the media sources they rely on protect them from the sort of information that might disrupt their manufactured certainty. In most cases, though, these parents, like most other parents, love and want the best for their children. They have been taught by an exploitative, right-wing media that it is queer lifestyles that cause disease, drug-use, criminality, and homelessness in our communities—and that queer people choose these lifestyles. In the highly combustible atmosphere of adolescent-parent relations, this is toxic stuff. If activists and allies buy into the narrative of enmity and strife, there is a risk of fueling the very fire we most wish to see extinguished. Calling for criminal charges against grieving Christian parents seems, to me, to be the sort of thing we might want to take a moment to think about before we commit to it as a strategy. There are a great many alternatives that seem to me to be far more constructive. Options that carry with them the potential to transform our transphobic society rather than further polarizing it. In PFLAG, the LGBTQ movement already has a strong and consistent partner that specializes in outreach to families—the group deserves our support in reaching out to parents of trans youth and turning them into allies. In addition, we can work with Christian organizations that support lesbians and gays—such as the Gay Christian Network—on trans-specific issues and outreach. We can give money to organizations that work with homeless trans youth and seek more and better alternatives for young people whose parents force them to leave home. We can fund college scholarships for trans youth, giving them hopeful alternatives to poverty and homelessness. We can also support efforts to outlaw “conversion” therapy and continue to publicize its harmful effects. I’ve written previously about the dangers of focusing too much on the suicides of queer youth, but the danger of allowing young people to grow up isolated, bullied, and afraid outweighs these risks many times over. Still, that doesn’t mean that the queer community should allow our grief to negate the responsibility to do whatever it takes to reach youth born into conservative families. One of the unique characteristics of the LGBTQ community is that we are generally born to cisgender, heterosexual parents. This is our greatest strength as well as our gravest vulnerability. However righteous our anger at parents who fail to nurture and support their queer children, we must not lose sight of the fact that reaching out to these parents is an urgent need and a powerful potential weapon against hatred and bigotry. When parents learn to accept their LGBTQ children, they often become some of the fiercest advocates for tolerance and social change. We need to ensure a climate that makes these transformations more, not less, likely.